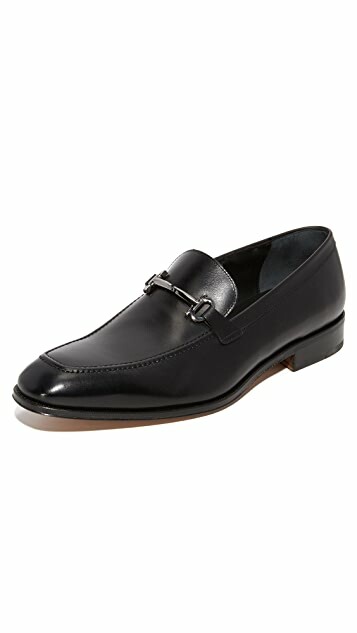 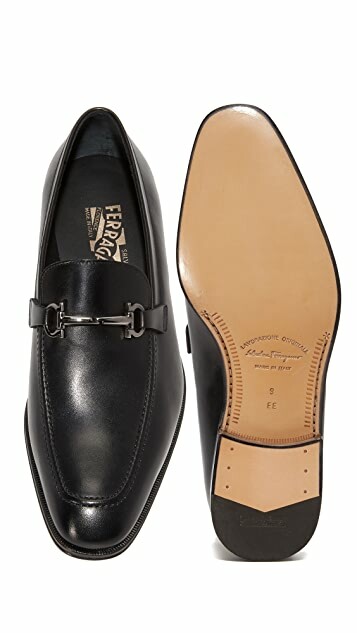 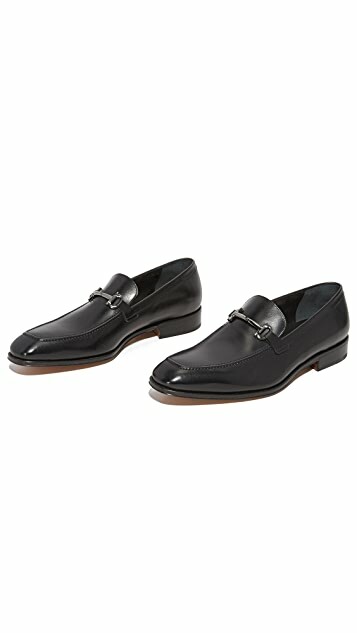 Refined calfskin Salvatore Ferragamo loafers, finished with a polished metal horse bit over the tongue. 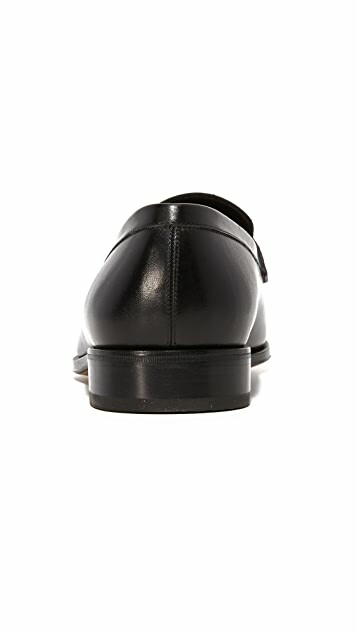 Sewn to a stacked, rubber-tipped heel and leather sole. 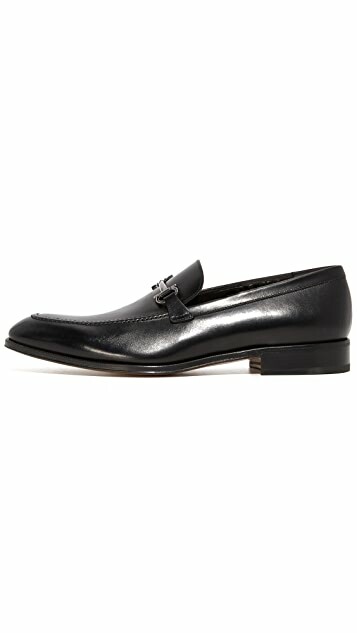 Full leather sock liner.